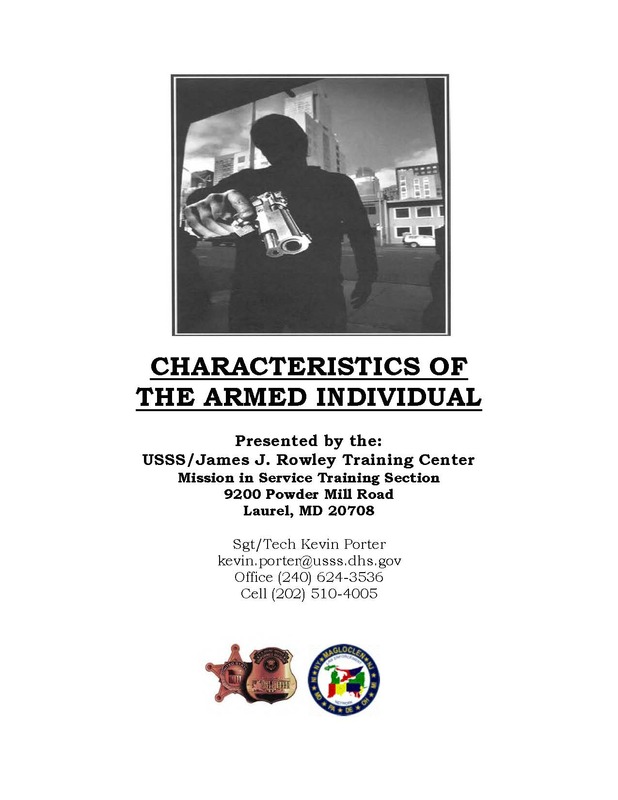 When placing a subject under observation for the purpose of trying to determine whether or not that person is possibly armed, what is the first crucial trait that you as a Law Enforcement Officer should try to determine about that individual? Smoking, Lighting Cigarettes, Holding/Moving Objects, etc. to help determine a favored side. An individual who carries a gun on their person will periodically touch that gun both consciously and unconsciously. This is called a Security Feel. 88% of the people in the U.S. are right handed. The majority of those right-handed people that carry handguns illegally carry them in the right front waist band, loose. • They see it in the movies. • It’s the “cool” thing to do. – conscious & unconscious (reasons/adjustments for touching, security feels, physical property of gun, when, why, how). • Arm over center of body, etc. While walking or running (especially in the rain), you will notice a short or stiff arm swing and short leg stride. What are their actions when walking by person/persons, and streets/doorways, etc? • Look for a rising shoulder, or moving up to grab the weapon from the waistband. • Bending over or shoulder dip to hide the weapon under a seat. – what features stand out, attract your attention, and arouse your suspicion. • Clothing: Does the clothing fit the season? • Does the clothing match? • Is the clothing loose, or baggy? • In cold weather, is the individuals coat unzipped or unbuttoned? • Look for the individual wearing only one glove. • Look for uneven dip in clothing or bags. • Chains, straps, hats, etc. • Outer garments (Are jacket, pants, shoes coordinated for dress/work/leisure? )**BULGES and certain body movements observed to discover the smallest/best concealed unholstered weapons. • Grocery bags, boxes, shopping bags, etc. • THINK about when you wear your gun off duty, and your actions (they are very similar).